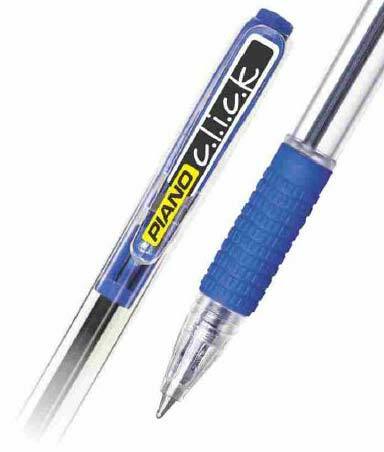 Piano Click Ball Pens, offered by us, are widely demanded owing to their remarkable grip, excellent finish and smooth ink flow. For bulk orders of these Boll Point Pens, contact us. We are backed by a strong and vast distribution network, which facilitates timely delivery of all the orders across different countries of the world. Besides, we are known for fair pricing policy.